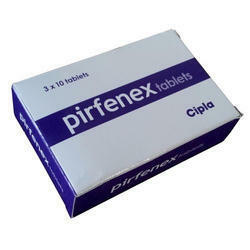 Our product range includes a wide range of diane-35 tablet, tazarotene gel, pirfetab tablets and pirfenex tablets. 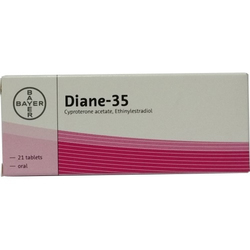 Being a reliable trader, we are engaged in offering our clients with Diane 35 Tablet. Used for the treatment of severe acne and hirsutism (excess hair growth) in women, this tablet provides contraception as well. Our offered tablet is obtained from reliable vendors of the industry, who process the same as per the pharmaceutical industry set guidelines. 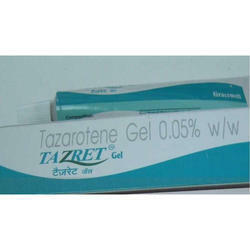 Our company is involved in proffering Tazarotene Gel that finds a vast usage for treating facial acne, psoriasis, fine wrinkles on the face and noncancerous freckles. A derivative of vitamin A, the proffered gel is highly beneficial for enhancing appearance of the skin. Moreover, it safe to use and does not cause irritation to the skin. Clients can obtain it in different packaging quantities. 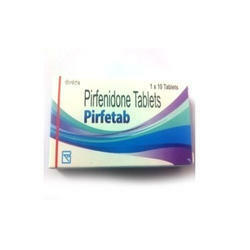 Pirfetab that is vastly popular for its high effectiveness, longer shelf life and accurate composition. Pirfetab medication works by inhibiting the synthesis of TGF-beta, and finds a vast application for treating idiopathic pulmonary fibrosis, while decreasing the symptoms associated with the kidneys, liver or lung.